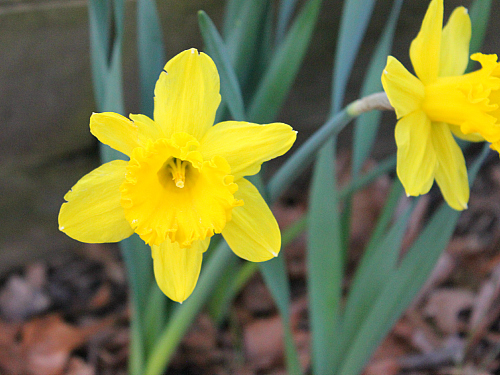 it's always such a treat to see the first daffodils of spring pop up around the yard. 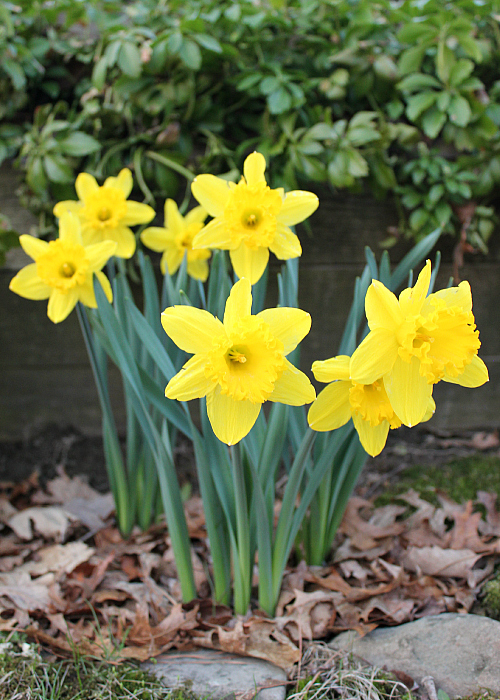 daffodils are such cheery spring flowers. 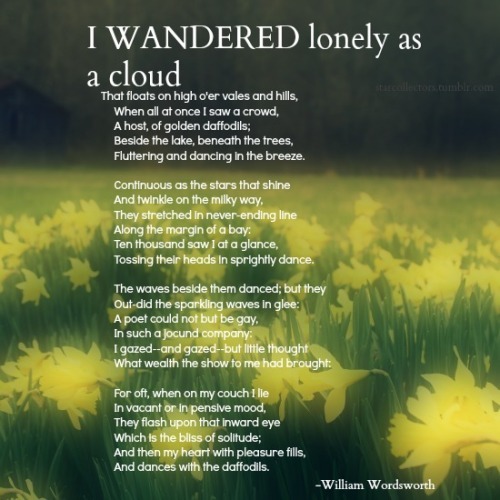 william wodsworth even wrote a poem about daffodils. it has been rainy and cold here yesterday and today, and it hasn't really felt like spring at all. but, these pictures of the daffodils at my parents' house this weekend are the perfect thing to cheer up an otherwise dreary day. Hurray for spring! If only the temperature would be spring-like! I like to watch P. Allen Smith's gardening shows on a PBS station on TV. He has a farm in Arkansas that has a field of daffodils, and I think he said once that there are at least 100,000 daffodils planted there. They are so pretty! Never read that poem before. Daffodils are such hearty plants. I was surprised when they bounced back after the snow on them.